Appliance Express services residential appliances. Fast, affordable, and friendly service. Austin's only Whirlpool Factory Certified Care Center. Horizon Appliance Repair is based out of Georgetown, TX We specialize in commercial and residential appliance repair. We have over 10 years experience. We provide exceptional service to our customers and provide 100% satisfaction guarantee or your money back! On top of that we give a full one year warranty on parts and labor. Call us today to set up an appointment. We sell appliances to builders and remodelers in the Austin market. 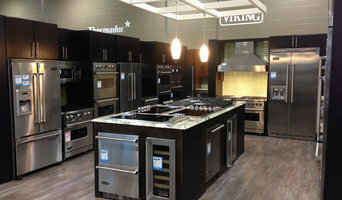 Located conveniently in the Best Buy in the Lakeline Plaza, we are your source for premium, brand-name appliances. We carry an extensive selection of high-end home improvement products, for every taste and lifestyle. Texas BBQ Wholesalers proudly presents you our professional SUNSTONE gas grill with lifetime warranty on burners, our Grill is available in 3 sizes, ranging from 28 to 42 inches. Product lineup includes Single & Double side burner, Access doors & Drawers, Trash Drawers, Drawer Combo Tank Tray Enclosure, Drop-in Ice Chest, 14" Cocktail Station, Paper Towel Holder and etc. All items made of commercial standard 304 Stainless Steel.Located in Austin,TX. Welcome to Texas Appliance Repair Service - the Major and Minor Appliance Repair Company that home and business owners living and working in the local area from Frisco to San Antonio have been choosing for quality Appliance Repair and Service since 2008. We are locally, family owned and operated as well as fully licensed and insured. For over 7 years, we have been offering complete Repair and Service of all Major and Minor Appliances including Washer / Dryer, Refrigerator / Freezer / Deep Freezer, Dishwasher , Oven / Stove / Range, Microwave, Air Conditioner / Furnace, Water Heater, Garbage Disposal, Ice Machine etc. Our trained and experienced technicians repair all brands, makes and models. As an added convenience, we have a large inventory of in stock parts in our local warehouse and fully stocked vehicles. So chances are, we have what we need to get your Appliances up and running again now; not later. Please give us a call today to repair your appliances at a fraction of the cost of replacing them! "We help beer find a chill home." Shop and compare hundreds of kegerators for beer, wine, coffee, kombucha and even liquor! Utilizing both intelligence and efficiency in all of their projects, Green Water Technologies expertly solves the major problem of unconditioned water in homes and businesses throughout Texas. The company employs highly skilled professionals who appreciate the distinctive needs of today’s business owners and homeowners. Green Water Technologies stands ready to provide globally recognized products and ensure the utmost in convenience for their valued customers. Sunstone Metal Products prides itself as one of the leaders in the industry, with over 16 Years in the Market, we have become a leader in Innovation and Product Design. We employ the latest technology and equipment allowing us to provide all original tooling, which translates to well-built product that stands the test of time. We offer both Dealer, and Distributer programs in conjunction with full OEM/ODM capabilities, we have been able to hedge our place in the market, while not only producing our Sunstone products, also provide OEM’s for many of the Major BBQ Brands in the industry currently. Today’s economic trends have changed forcing many companies and individuals to downsize or reorganize, we have only grown offering High Quality products at an Intermediate Price, and the customer really see’s this value built into the product. With our online presence creating the biggest impact, with enhanced content like 3D Interactive presentations, Animated 3D content, High Resolution Images, Detailed Individual Product Spec. Sheets, and Highly Detailed Product Guides, all makes your customer’s decision very easy. All of this streamlined through our logistical management system, orders are quickly processed and shipped within 24 hours, all logistics, freight, and ground are handled internally. We offer a direct connection to all dealers, for sales and training directly from our Product Specialist, who can be there to help your sales people, and management with direct customer questions, in while doing in-home service. If you, or your company, have been thinking of making a change, or are just beginning in the outdoor living industry, we would like to meet with you to discuss your future objectives and how our SUNSTONE products may be of help in obtaining your overall goals. As allergy and asthma sufferers ourselves, we have tried most of the air purifiers on the market and haven't found a competitor's product that has met our needs. With that as a background we build products that we need and want to use. 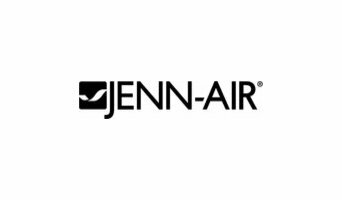 We built the first high performance air purifiers made in USA with all of the key components from the US except for the motor (Germany). Your Texas appliance professional might handle any or all of the following jobs: selling, installing, repairing and upgrading both small and large appliances. He or she can advise you on the right equipment for your Harker Heights, TX home, from features to finishes, and is usually in the know about the latest technological advances and bells and whistles. When appliances hit a snag or start to show their age, a pro can advise you whether to repair or replace them, then carry out his or her recommendation. Some appliance professionals work closely with Harker Heights, TX builders, remodeling contractors, and kitchen and bath designers, among others. Here are some related professionals and vendors to complement the work of appliances: Kitchen & Bath Fixtures, Kitchen & Bath Designers, Kitchen & Bath Remodelers, Specialty Contractors, General Contractors. Find an appliance professional on Houzz. Narrow your search in the Professionals section of the website to Harker Heights, TX appliances. You can also look through Harker Heights, TX photos to find examples of rooms with appliances you like, then contact the professional who worked on them.